Egypt has reportedly decided to pull out of a U.S.-led effort to create an initiative with key Arab allies, Reuters reported Wednesday. Sources familiar with the matter told Reuters that Egypt had announced its decision to the U.S. and allies in the proposed Middle East Security Alliance (MESA) ahead of planned meeting Sunday in Riyadh. The move marks a blow to the Trump administration’s aim to curb Iranian power, the outlet noted. 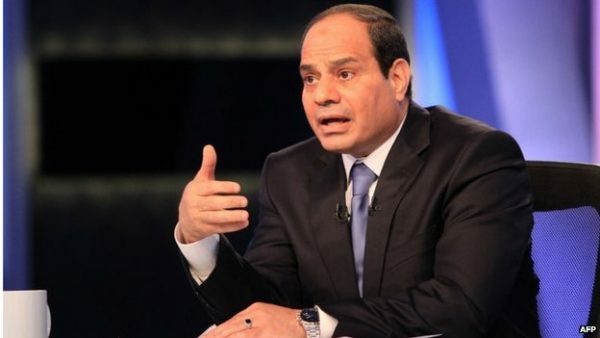 Egyptian leaders were reportedly concerned the plan to form an “Arab NATO” would inflame tensions with Iran and had yet to see a formal blueprint for the pact, according to Reuters. “It’s not moving well,” a Saudi source reportedly told Reuters. The decision was also reportedly motivated, in part, by uncertainty about whether President Trump would be re-elected to a second term in 2020 and whether his successor would scrap the initiative, according to Reuters. Saudi Arabia first proposed the initiative in 2017 as a means of limiting both China and Russia’s influence in the region, according to the report. The alliance was reportedly set to include Jordan, the United Arab Emirates, Saudi Arabia, Bahrain, Oman, Kuwait and Qatar, Reuters reported. National security adviser John Bolton has supported the MESA plan and orchestrated the Trump administration’s strategy for containing Iran, U.S. officials told Reuters. The news comes a day after Trump hosted Egyptian President Abdel Fattah el-Sisi at the White House. The White House and the Egyptian Embassy in Washington did not immediately respond to a request for comment from The Hill.